On February 22, 2019, IEEE NSU Student Branch successfully organized a workshop on the Python programming language named “So You Want to be a Python Expert?” at LIB 609, North South University. 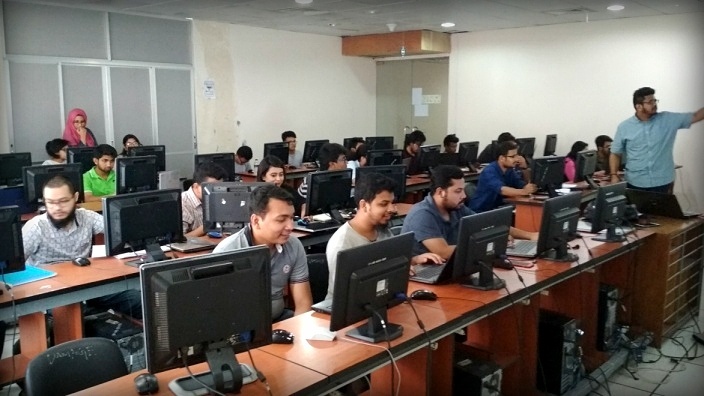 The instructor of the workshop was Hasib Zunair who is currently working as a researcher at The Tech Academy, Dhaka. He is an alumnus of North South University and also the former Chair of IEEE NSU Robotics and Automation Society Student Chapter. The instructor taught syntaxes for Python 3.x and used Jupyter Notebook to run python codes on a browser. The workshop was interactive and the instructor took questions in a creative way. The participants had to clap their hands whenever they had any questions.